The mini, rugged industrial media converter is designed for where critical but space-limited outdoor CAM enclosure. It can be powered by wide range of VAC, VDC or external DC power adapter. With the multi-purpose design, it can also be used for Din-rail or wall-mounted. 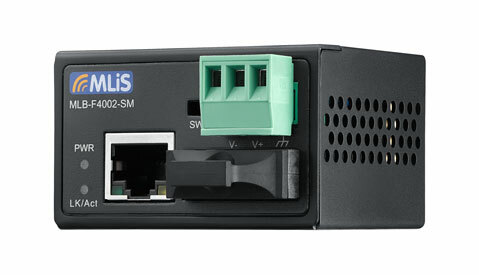 It is an ideal unit for IP surveillance, traffic monitoring and security application in critical environment. It can tolerate -40~+75°C in harsh environments to perform a reliable network. Switch model and converter mode. Surge protection diodes on power input. Provides far end fault function on FX port.